I grew up in Communist Cuba. I was not free to speak my real thoughts. Nobody could publish anything that was not approved first. Many times I felt as if my mouth was in prison. If a teacher asked a question in class, he only wanted to hear the approved official answer. I could not ever say to anybody in authority anything that was critical. I could not share an “out of the box” idea. I felt unhappy, constrained, and stressed out. Eventually I was able to come to “the land of the free.” I was delighted to be able to communicate freely. I was attracted to study anything that had to do with effective communication, change, leadership, and helping people to speak up. My love of communication spurred me to continue studying until I finished my Ph.D. in Organizational Behavior. I thought that everybody shared my passion for speaking freely and sharing ideas. Then I began working with executives and inside organizations. Imagine my shock when I started hearing expressions and feelings about communication that were very similar to the ones I had experienced in Cuba. It was hard for me to understand how that could happen in places where there was “freedom” of speech. I soon realized that if leaders in an organization were authoritarian and suppressive, it was “normal” to see the free flow of communication diminish. What was not surprising was to notice that if people felt they could not speak freely, the organization would usually be also struggling with quality and profits. A suppressive environment restricts profitable results. In my opinion, free enterprise requires freedom of speech. The latest research about communication and organizations links effective communication with organizational success. According to the 2018 Global Communications Report. 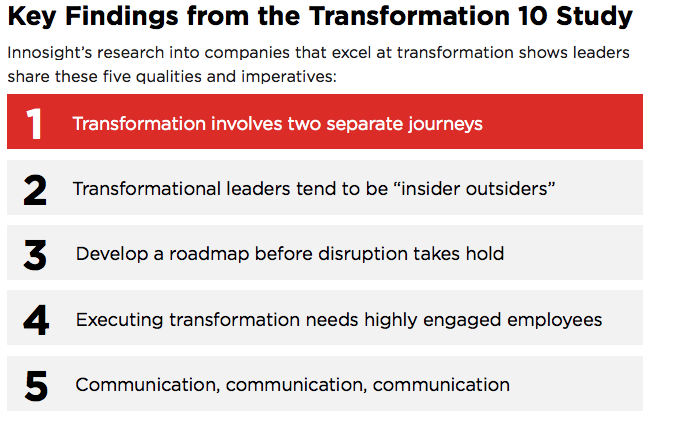 PR professionals believe that in the next 5 years 6 of the top 10 skills most needed for organizational success have to do with communication of some kind. Furthermore, A majority think they will need to continue to be strong in traditional skills such as writing (84%) and verbal communications (75%), as well as crisis management (77%). And a significant 68% say employee communications will be critical to their company’s future success. 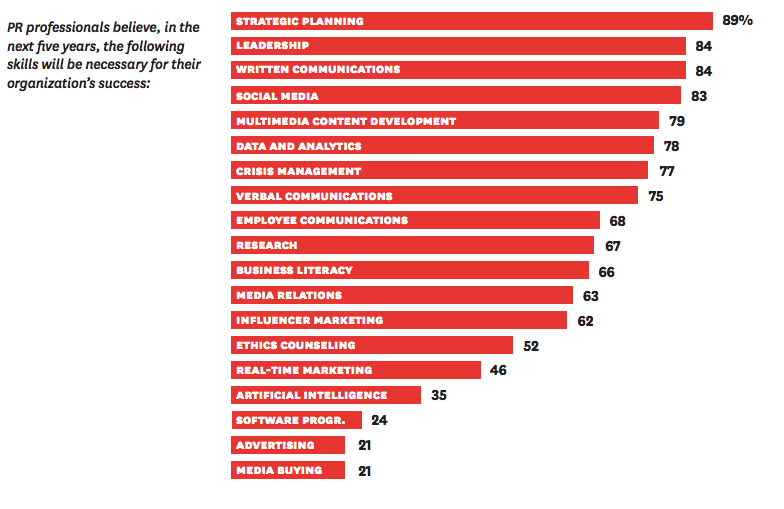 All of this makes a majority of PR professionals believe that communication will be more important in the future. If communication is so important, why do people stop speaking? 1. Fears. They are afraid that people will not like what they had to say. Or that they would be questioned unfairly. Many fear they could be somehow “marked” as “troublemakers,” and this could threaten their job or prevent them from promotions and rewards. 2. Nobody listens. Why bother to speak if their ideas are never listened to with any amount of respect? Granted, this can be based only on their perception, or their interaction with a specific person. But it’s strong enough to keep people from talking. 3. Low tolerance for conflict. Sometimes, there can be conflict when people speak their minds. Many leaders and managers fear conflict instead of welcoming it as an opportunity to find better options and grow. 4. Bad experiences. They were shamed, or laughed at when they tried to speak in school. Or they had a supervisor in the past that constantly ignored them, or treated them as "dumb." Later on, those strong feelings of discomfort would make them prefer to keep their mouth shut. 5. Scripts they learned growing up. Some have constant negative running commentaries in their brains. Things like: “Shut up! You don’t know what you are talking about!” “Nobody cares about what you really think.” “How could you say such a stupid thing!” Now they keep talking to themselves in similar ways and therefor don't speak up. It seems that many organizations don’t have an environment that feels safe for people to speak. Many don’t encourage open communication. Unfortunately many leaders think it’s easier to ignore workers feelings and ideas, treating them like "tools." Others don’t want to share and collaborate. Many don’t know how to communicate effectively. Since Dialogue can feel risky, and many people have fears, unless the leader can create a safe environment, dialogue will not occur. What does a safe place for communication feels like? There is a structure that protects. You build together guidelines and ground rules that protect the process of dialogue. You know things are not going to get out of hand. You know others will not rudely interrupt, but let you finish your thoughts. There are “rules” in place and all will make sure they are followed. People show respect. Feelings are honored and respected. Strong emotions can be kept in check. There are no personal attacks. They can disagree with your message without attacking you as a person. There is no name calling, screaming, of cursing. You can be honest and clear and still be respectful. Respecting the other person includes taking the other seriously, looking for the source of her or his experience. It is to see people, as Humberto Maturana puts it, as “legitimate others.” Even when you do not agree with the other person, or when what they are saying is unaceptable to you, you accept his or her viewpoint as valid, without discounting or belittling it. It is honoring or deferring to someone. It is looking for the sense in what others are saying and thinking. You need to respect all perspectives – listening to the multiple voices within yourselves and in others, making room and sustaining respect for all perspectives and voices long enough to inquire into them, entertaining multiple ideas without dismissing anyone. You need to respect the polarizations that arise without trying to “fix” them. You show respect when you recognize that the other person has equal rights and equal responsibilities, opening space for different perspectives and new meanings to emerge. Only True respect enables genuine inquiry and free flow of communication. Better communication means better products and bigger profits. Why? Problems are discovered and addressed quicker and better. There is a decrease in errors, since people ask more questions when they don’t understand something. Improvement in relationships contribute to a positive environment which in turns increases profits. More innovation is possible. When people feel free to share ideas, it’s easier to find innovative ideas that can improve the process. More input results in wiser decision making. More collaboration ensures smoother change processes and easier team work. You can probably keep adding to the list. The whole idea of free enterprise requires the free flow of communication. In order to be able to make choices without government control, we need to be able to talk to each other effectively. I once worked with a high tech manufacturing organization in which people were afraid that if they expressed their real thoughts and feelings, they were going to be punished. They based their perception on the reactive and defensive posture that the CEO took whenever anybody dared to disagree with him. Yet, he privately told me that he sincerely wanted to listen and to open the communication channels. The problem was, he didn't know how. For a year I worked privately with him, to improve his communication and leadership style. I also worked with the organization. As a result, he, along with the management, were able to convey and encourage a more open environment. People started to feel safe to share their views and ideas. Although the organization made a serious investment in time and money to improve communication, they were surprised with the results. Their profits did not suffer, as they feared at the beginning. On the contrary, at the end of the year they had an increase of 25 percent in profits (without counting increased sales). This was mostly due to smoother operations, reduced stress which resulted in less sick time, and a decrease in having to redo work. Free enterprise requires the free flow of communication. That’s how new ideas develop. That’s how new projects get done. That’s how quality is improved. That’s how you can know what your costumers want. That’s how workers can take pride in their work. Make sure to encourage and facilitate freedom of speech in your organization! If you are having problems with people and profits right now, it's time to learn to communicate more effectively. Reach out for help to explore what needs to improve and to develop a plan that creates an open environment, inviting genuine conversations. For those who are interested, I have a couple of spaces open for working with organizations or with executives and/or executive teams. If you have been thinking about improving your success by having more effective interactions, contact me right away or schedule a 30 minutes exploration session in my calendar.